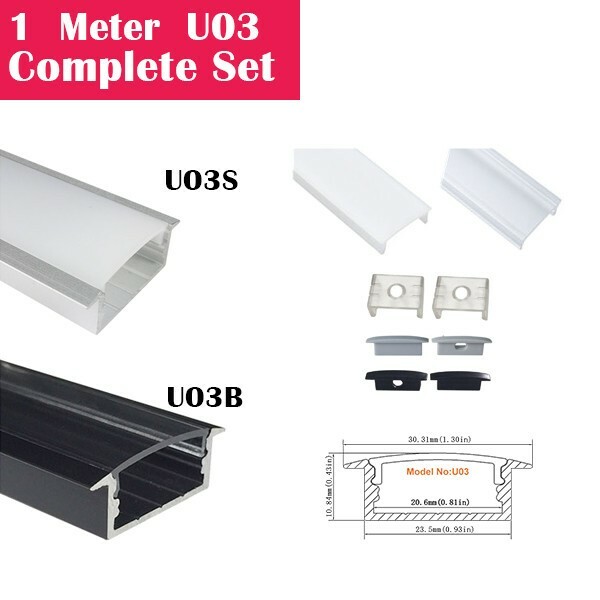 "U Shape LED Aluminum Channel System with Cover, End Caps and Mounting Clips Aluminum Profile for LED Strip Light Installations. Anodize aluminum:special technique makes the aluminum won't gathers rust,anticorrosion,wearproof, toughness ,lengthen light's lifespan,Light and elegent and in perfect harmony with the installation surface. 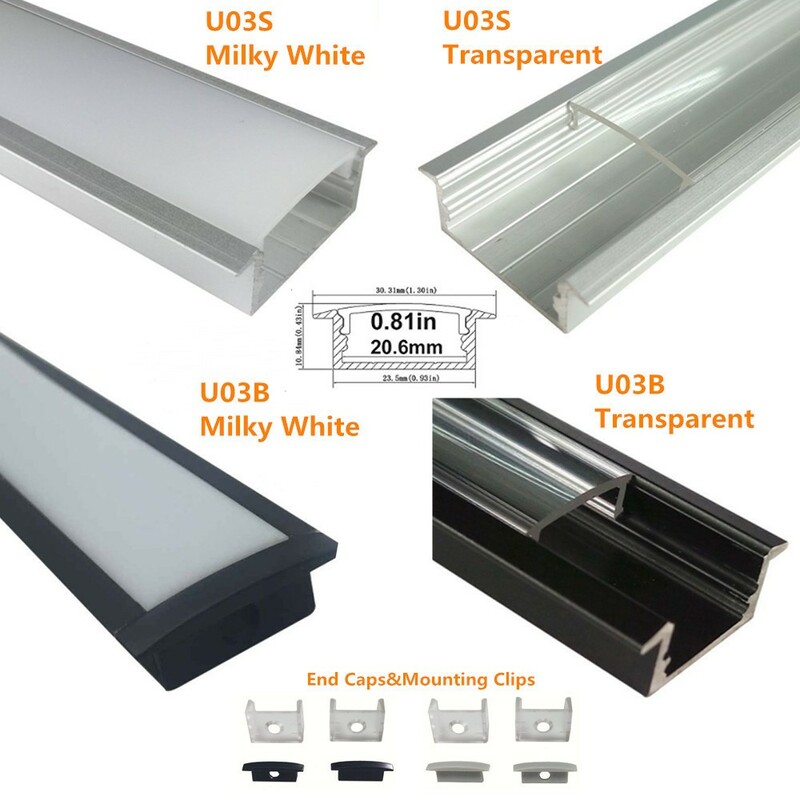 LED aluminum channel with trim is easy installtion by put into the camber concave and won't take up too much space or destroy the installation surface. Push type cover is safe and won't drop off ,the small curved surface makes it look elegent and is compatible with the installation enviroment. Design and produce by our own factory. Sold by 1 metre . This LED Aluminum Channel using enough aluminum for channel, and PMMA cover, price just a little higher than PC cover and light weight aluminum channel, but more sturdy and durable. We recommend this version! Shipping Time. : 5-10 Days via Express 20/20 $4.04/ea. Shipping Time: 25-35 Days via Seafreight 5000/4000 $2.42/ea. No reviews yet. Be the first one to write it. Drawings, Photos, etc. Accepted Formats: PDF, PNG, JPEG, GIF, TIFF. 5 Files Max. Each 5MB Max.